Mexicom Logistics offers reliable and affordable freight transport services across North America. Our promise is giving our customers hassle-free cross-border freight transportation throughout Mexico, the USA, and Canada. We make easy the freight transport across North America, on a trans-load or on a direct shipping basis. Our knowledgeable multilingual team has developed an admirable reputation with clients in Canadian, American and Mexican markets by offering them the most reliable freight transport and logistics services. To date, we have moved more than US$45 million in freight for our customers. Door-to-Door transportation to and from any point in North America. 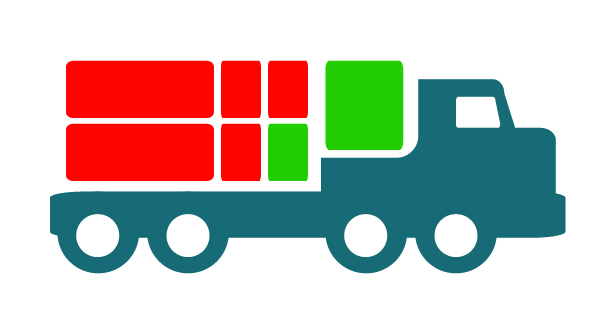 LTL are shipped daily between Montreal, Toronto, Laredo and the rest of Mexico. Rapid cross-border USA-Mexico expediting for direct and trans-loading shipments. Follow-up and management between all involved parties. for example, Trans Loaders, Customs Brokers and Transfer Agents. If needed, we offer border trans-loading from a Canadian or American trailer to a Mexican trailer, or vice-versa to save costs. A trilingual team that speaks French, English & Spanish and is capable of expediting with all parties involved. “MEXICOM LOGISTICS at all times shows the commitment, responsibility, and professionalism to comply with the guidelines and goals that we require in our international movements. 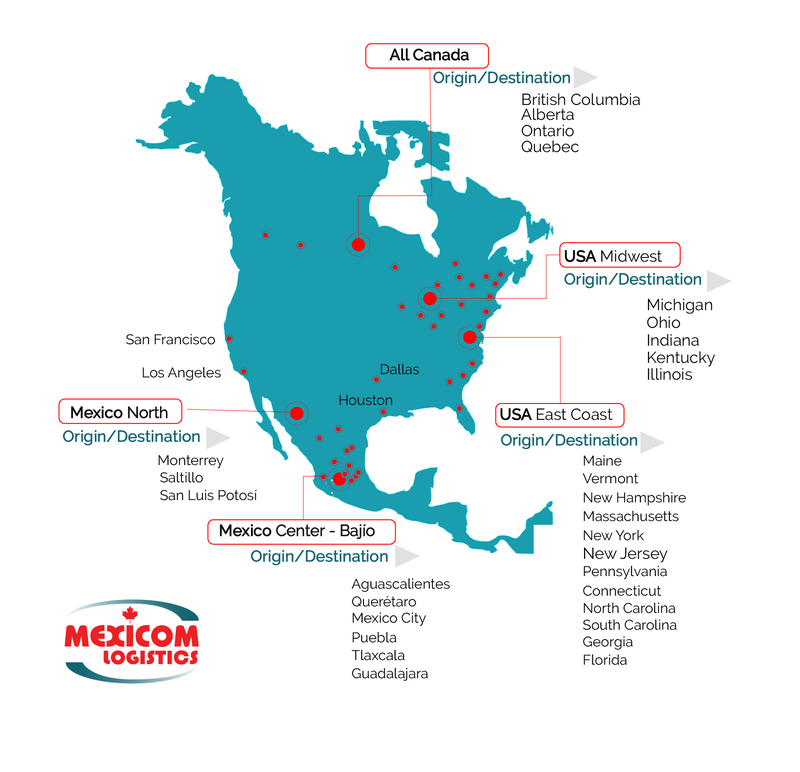 If you need a really reliable partner to transport your goods throughout North America, Mexicom Logistics is the answer. Contact us! The border crossing for the transportation of merchandise between the United States and Mexico is one of the busiest in the world. 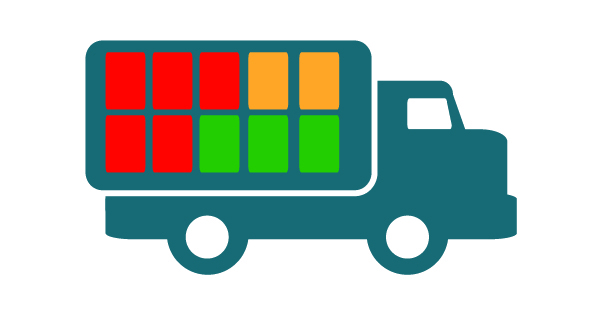 Because of its geopolitical position, the type of goods that are transported, and the high cross-border control, the transportation of merchandise across the border of Mexico and the USA is a complex process. Therefore, it is a good idea to hire a reliable freight forwarder, like Mexicom Logistics, which core services are the transportation of land freight shipments between Canada, the USA, and Mexico. Mexicom Logistics is the best option because we know the process, the documents, times and other requirements to cross the border hassle free! Our vast network of providers and alliances allows us to offer freight transportation services across North America at the lowest price in the market. 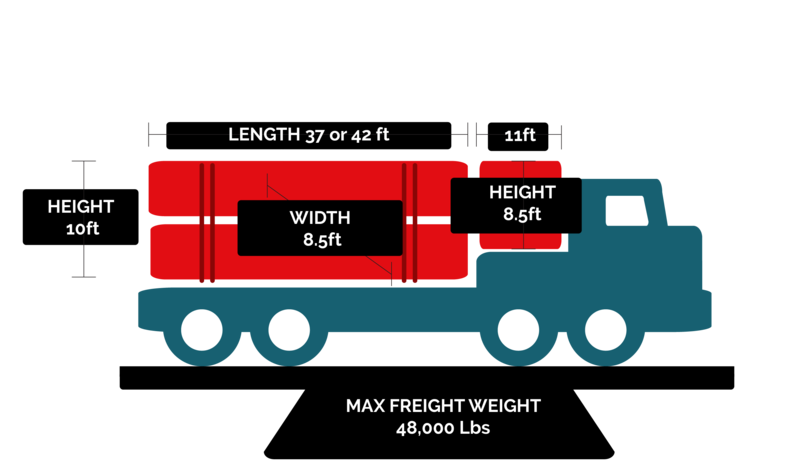 Moreover, we offer a wide variety of trucks that includes but is not limited to Dry Vans, Reefers, Flatbeds, Lowboys and Step-decks or specialized equipment to transport freight across Mexico, USA, and Canada. 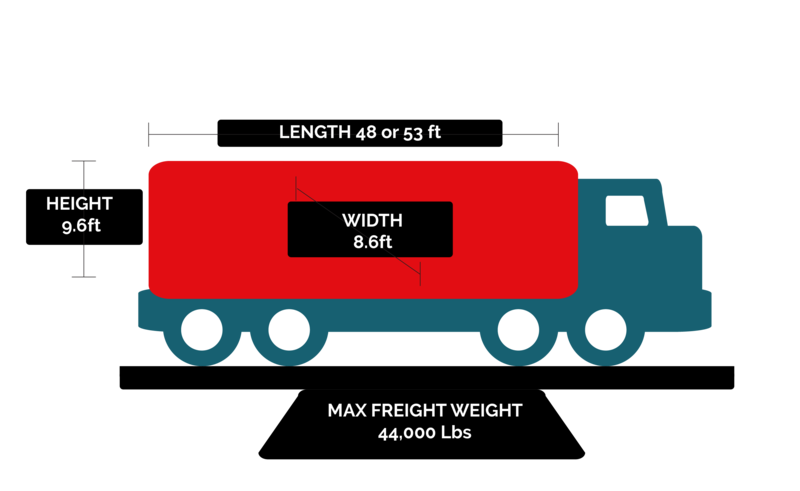 Less Than Truck (LTL) and Full Truck Load (FTL) freight transport services across North America in Dry Vans. 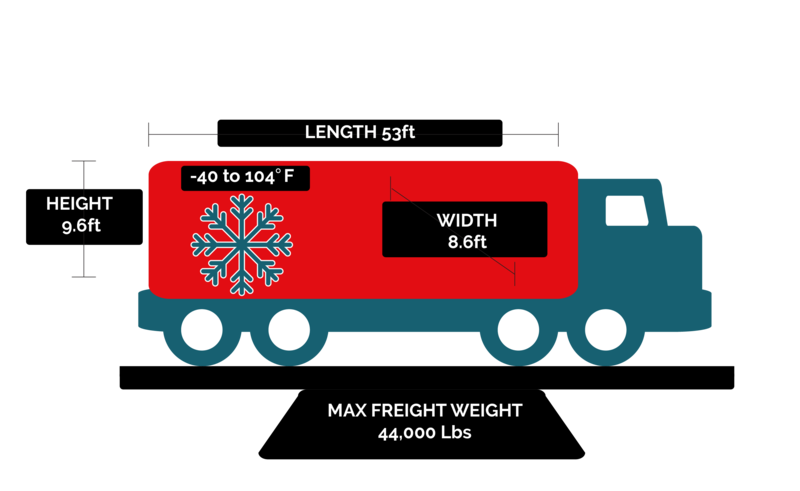 Temperature controlled transportation from and to any point in North America. 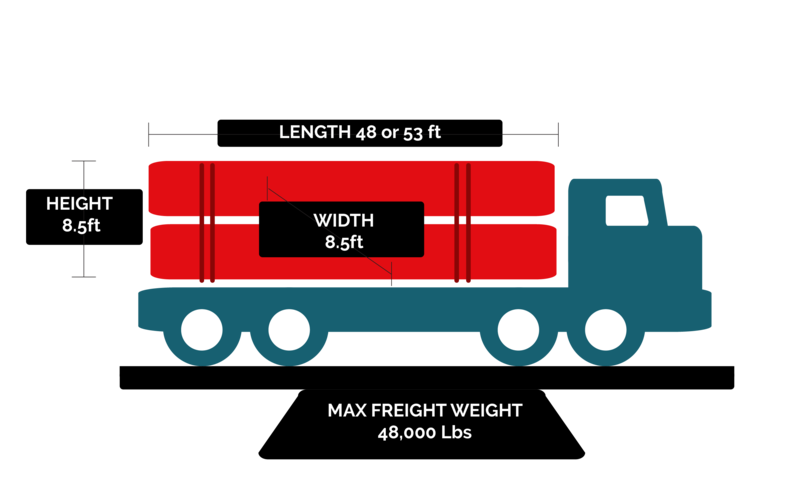 Double-drops to transport oversized and overweight cargo across Canada, the USA, and Mexico. Step-decks to transport cargo door to door to Mexico from Canada and the United States and vice-versa, all this at an unbeatable price. 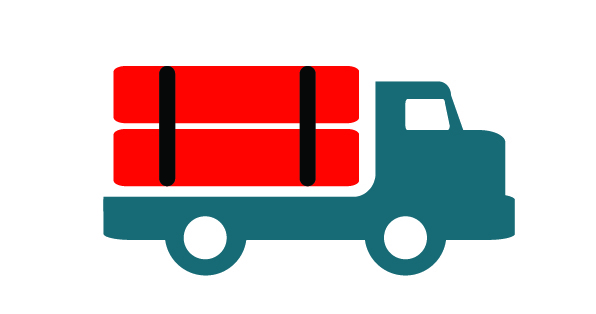 We offer the lowest rates in flatbed shipping across Mexico, the USA, and Canada. In addition, we are ready to move your load with just one day notice.